The class includes stretch and physical exercises, breathing awareness and relaxation. You will improve strength, flexibility, and will learn to manage your health and lifestyle through enhanced awareness. The class is suitable for all ages and all kind of flexibility. The class is based on the Hatha Yoga style. Which means that all the Gentle Yoga stretches and poses have their foundation in correct alignment and structure to bring you the most benefits. Gentle Yoga clean and strengthen the respiratory system, stretches the body, loosen up stiff joints, increase flexibility, and tone the muscles, bring peace in mind. We use chair and/or mat regarding the need of each student. "4 weeks to a healthier you" is a program to learn about Lifestyle according to Ayurveda. It is composed of 4 weekly classes of 90 minutes . Each meeting is an interactive conversation. 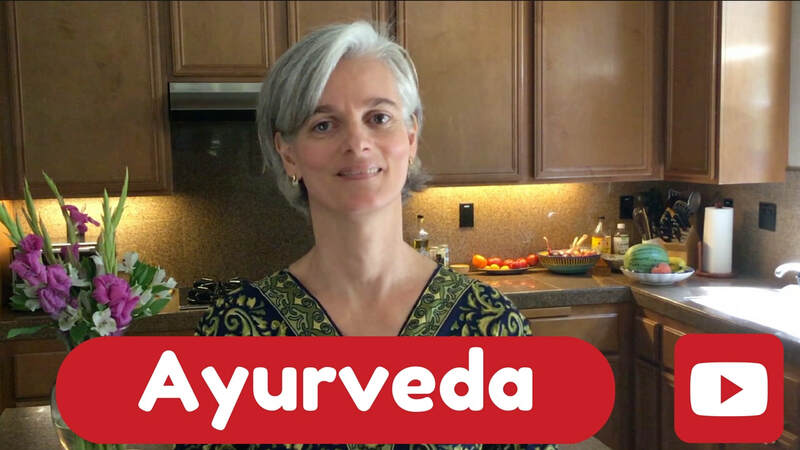 We go step-by-step through Ayurveda's principles that are easy to add in daily life. I explain how to optimize diet regarding your constitution, self-care routine to balance your body and mind, and how to connect with nature. It is self-discovery journey. The class has two parts: one is a lecture on lifestyle according to Ayurveda, and the second is all about answering your personal questions. Every participant receive an Ayurvedic Planner to guide you during the program.